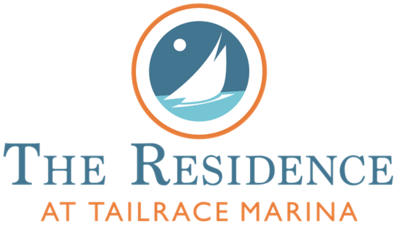 The Residence at Tailrace Marina apartments offer high-end finishes, stainless steel appliances, granite countertops and unrivaled community features that include spectacular water views, a hammock lounge, 24/7 fitness center and an onsite restaurant and marina with boat and kayak rentals. 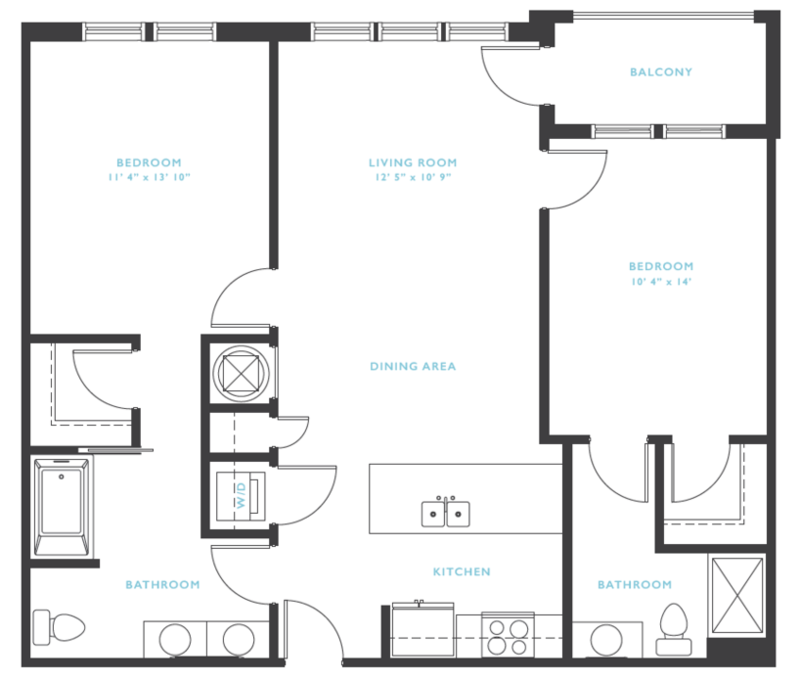 This one bedroom, one bathroom apartment features a luxury kitchen with stainless steel energy efficient appliances and granite counter tops. The kitchen is open to the large dining and living spaces. 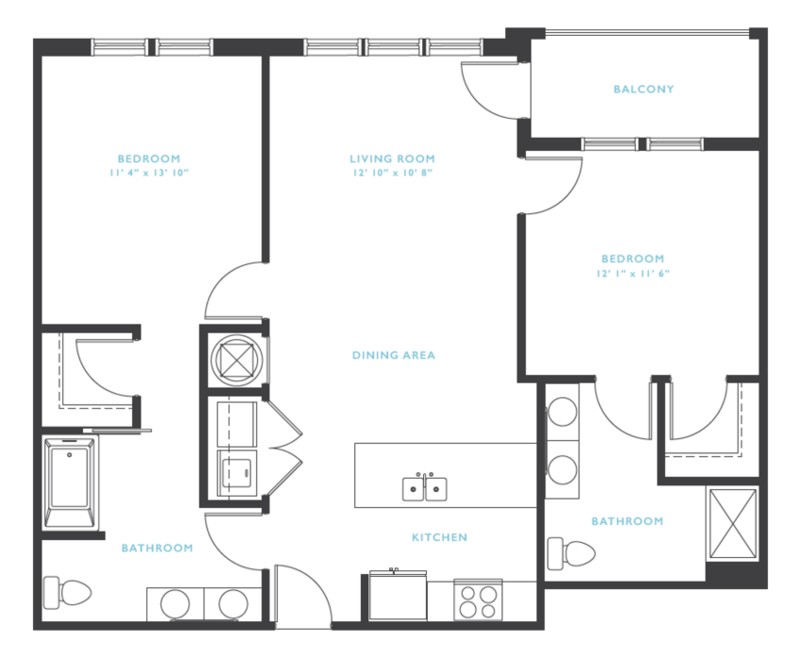 The Chattooga floor plan features a large master bedroom, walk-in closet, and spacious bathroom with dual vanity sinks. 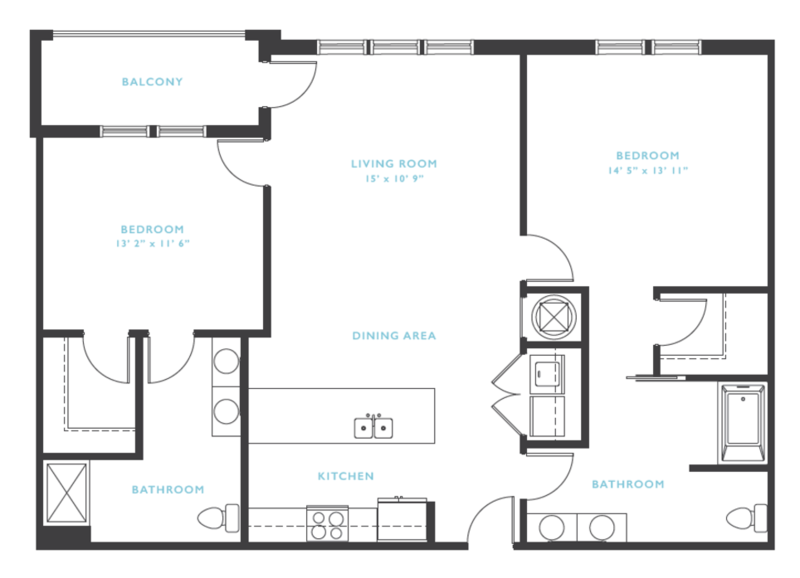 This apartment is the perfect place to call home. 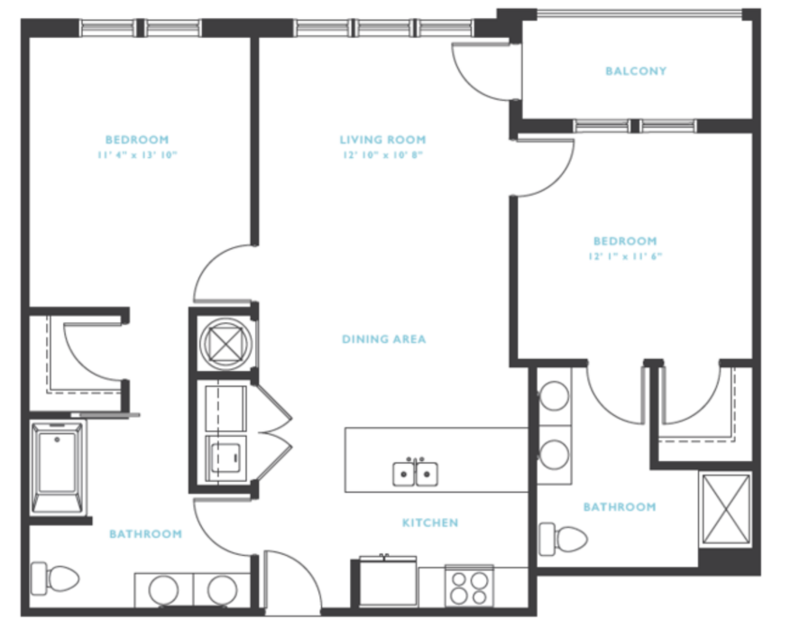 The Colorado floor plan features an extra-large living room and dining space. 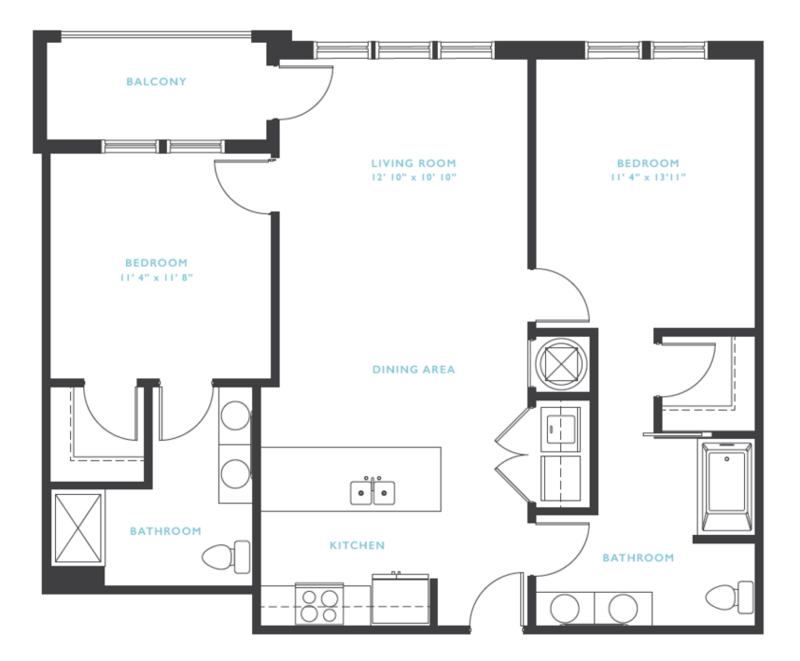 There is plenty of room to entertain with this apartment, and the design opportunities are endless. 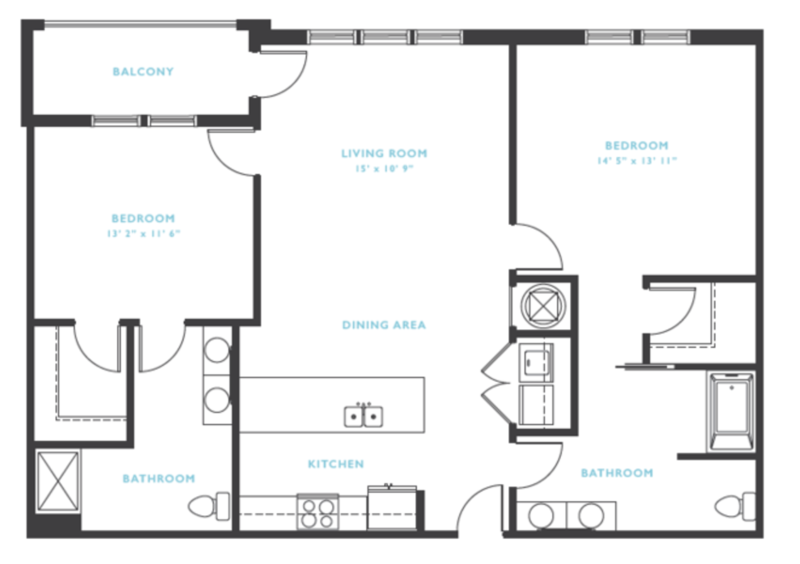 The Gauly floor plan is great for roommates. 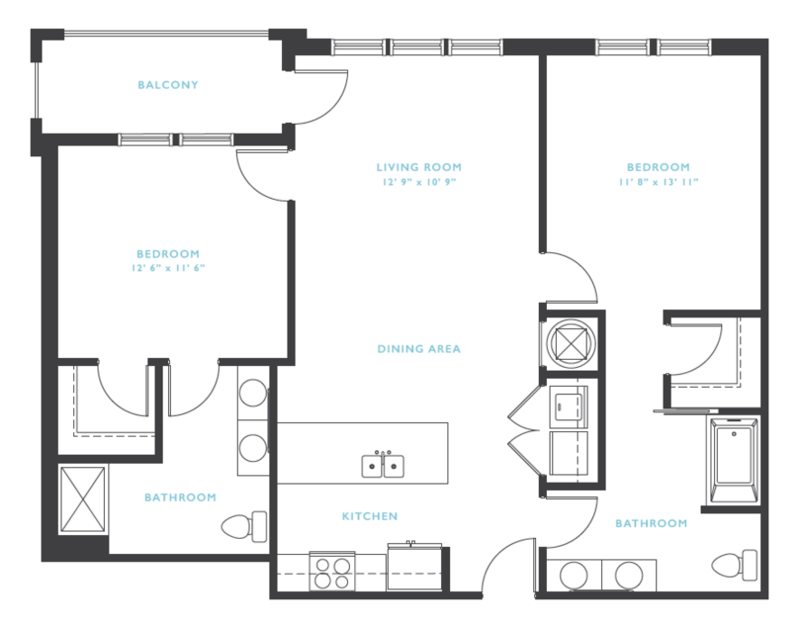 With two large bedrooms both including a walk-in closet and bathroom with dual vanity sinks, each roommate will have a space of their own. 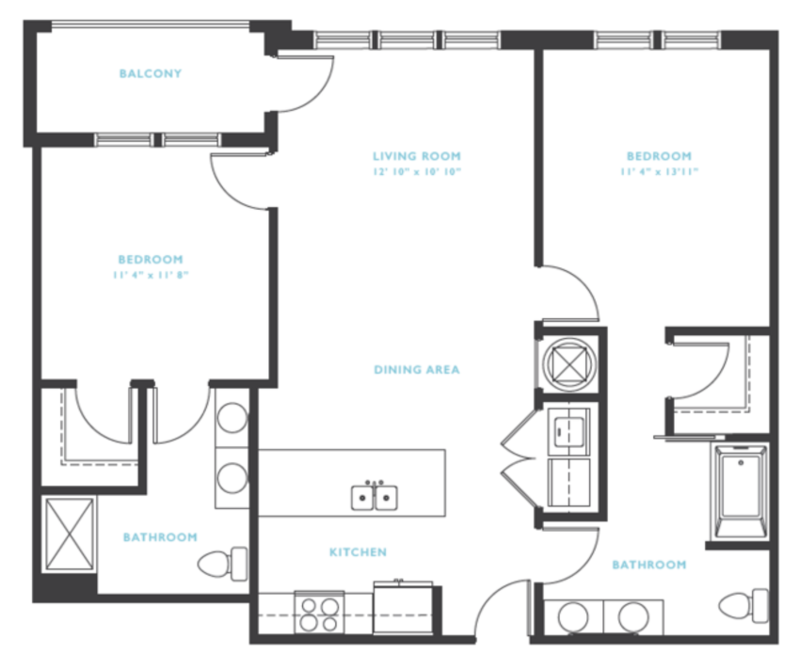 This two bedroom, two bathroom apartment is great for entertaining. 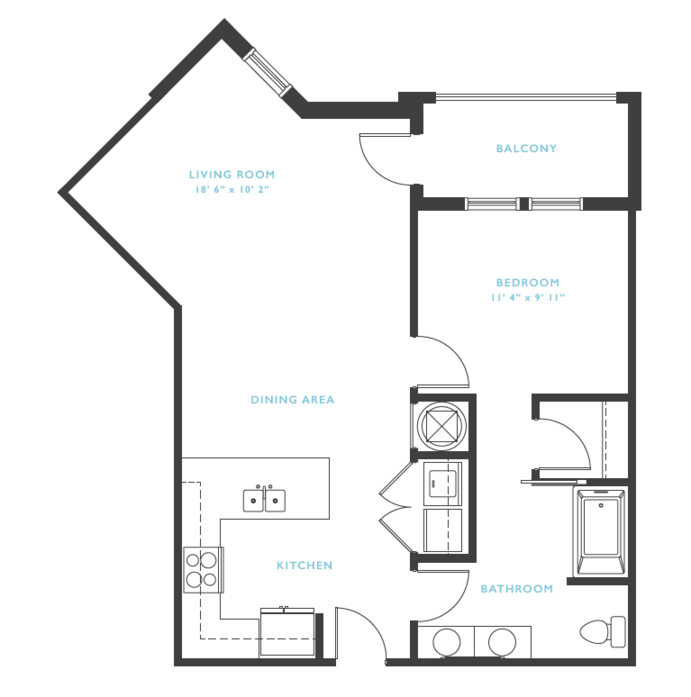 With its fun and unique open living space, guests will be truly impressed. 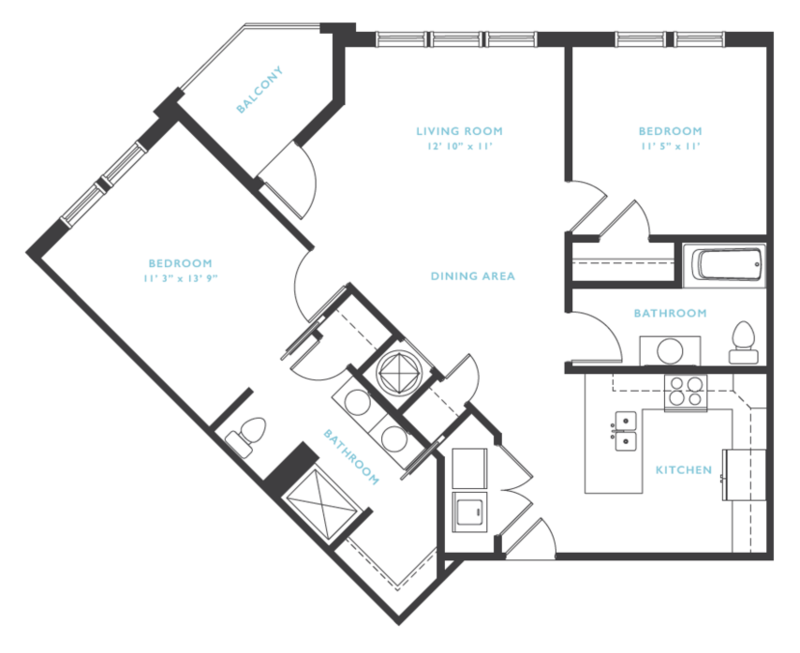 The Deerfield floor plan is great for entertaining. It features a spacious open living and dining room with great views from the large windows and private balcony. 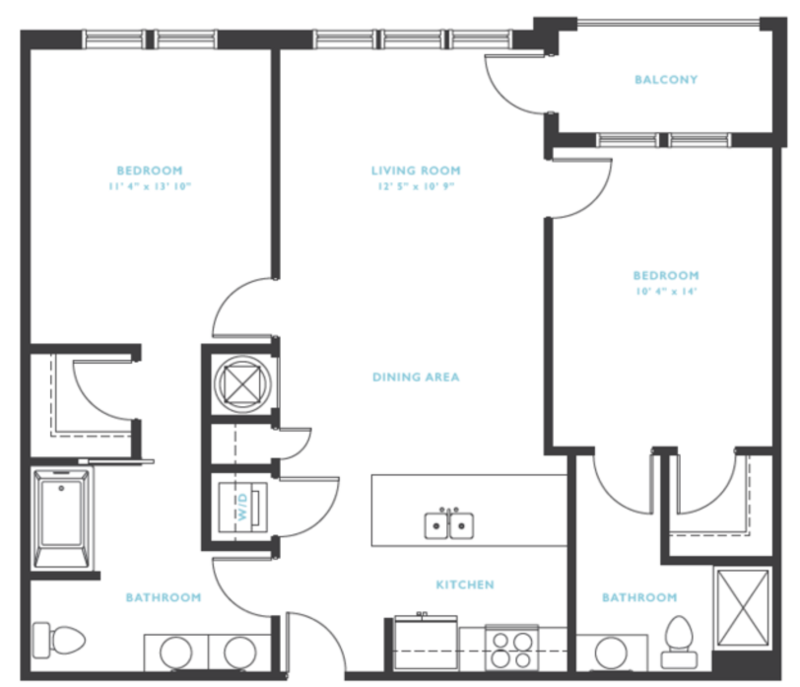 The Royal Gorge floor plan has plenty of natural light shining in every room. With two large bedrooms and a kitchen facing the dining and living areas, this apartment has it all. 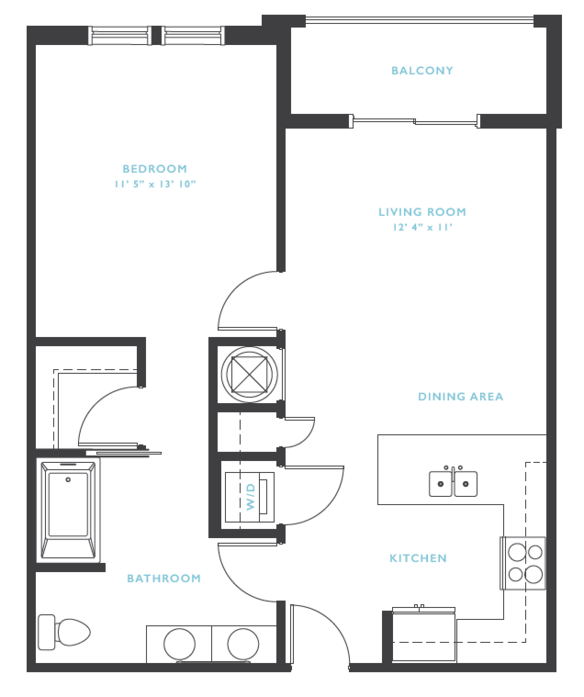 The Catawba floor plan has a great open space for the living and dining areas. 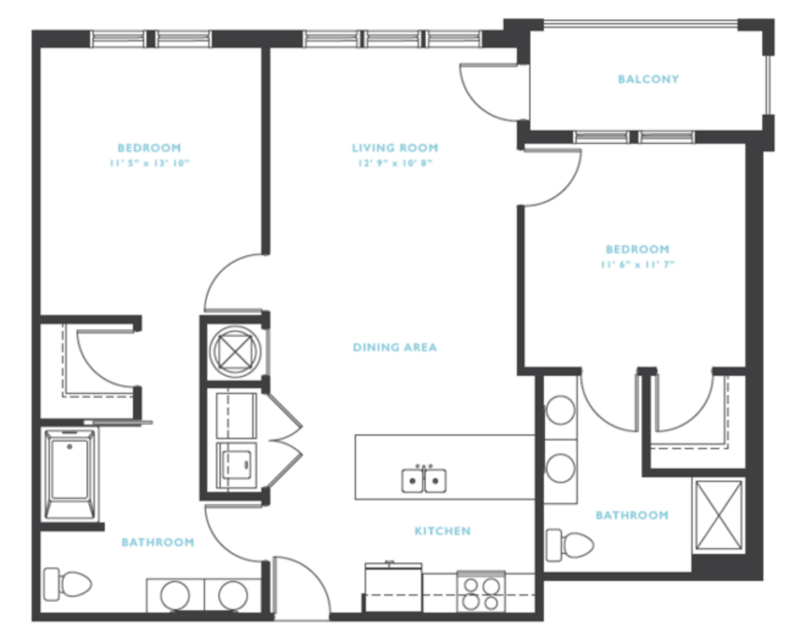 The kitchen features stainless steel appliances and granite counter tops with tile backsplash. 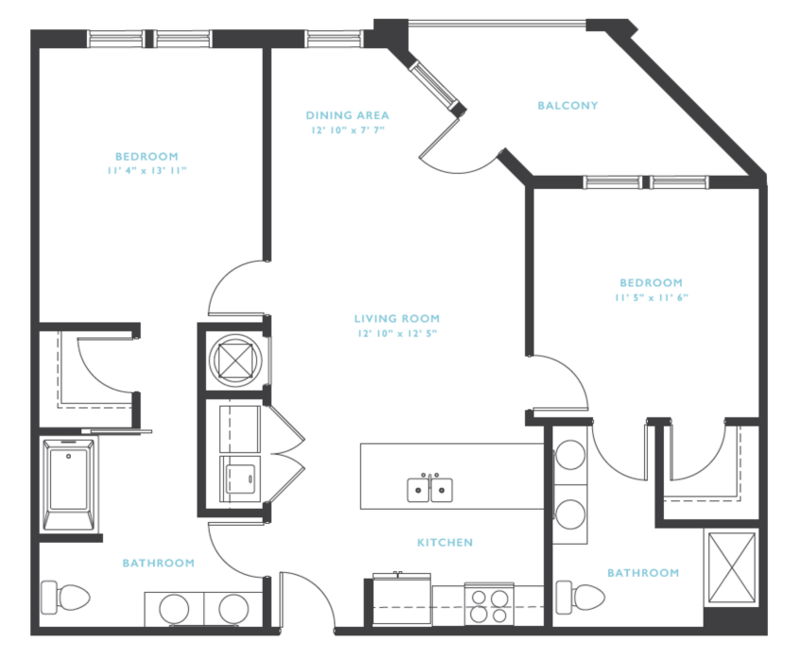 The Jackson Hole floor plan has it all. 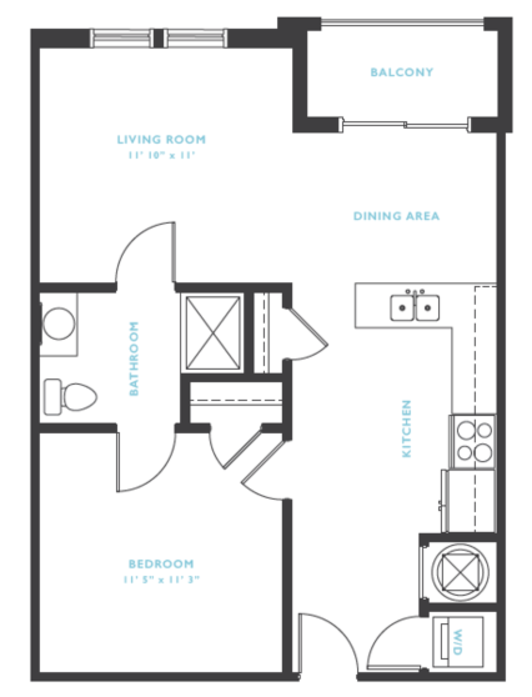 It features a private balcony, two large bedrooms, and a modern designer kitchen with stainless steel appliances. 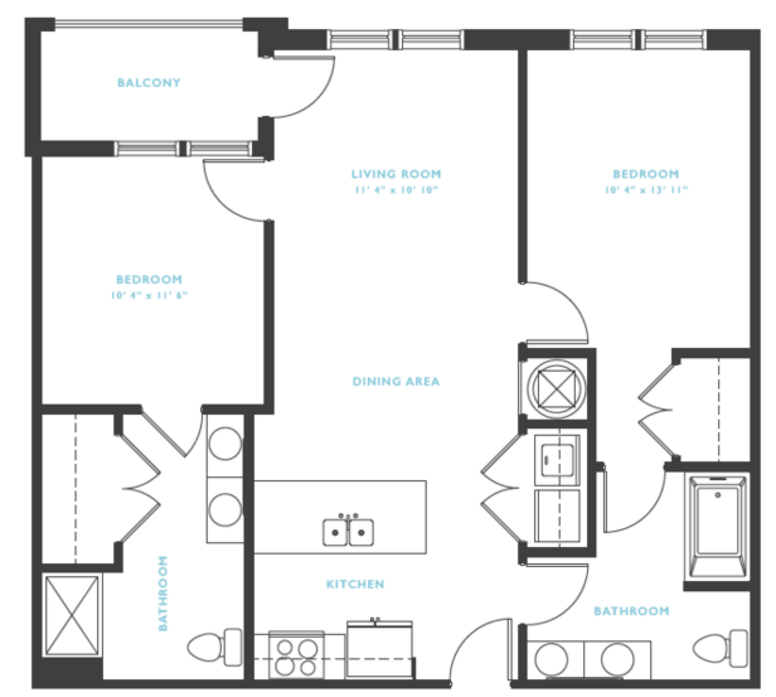 The two bedroom, two bathroom apartment centers around the luxurious kitchen. 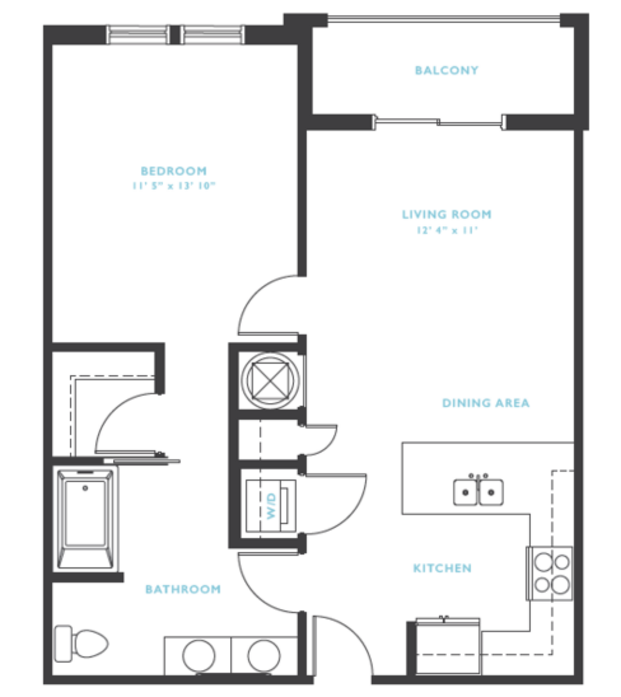 With modern fixtures, stainless steel appliances, granite counter tops, and tile backsplash, you will feel proud to call this apartment home. 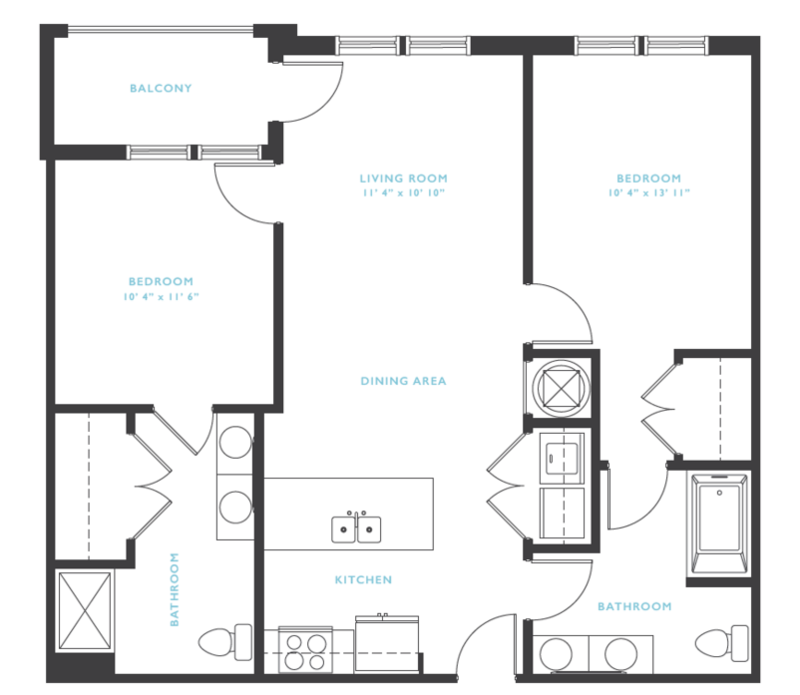 The Rio Grande is a spacious two bedroom, two bathroom apartment. 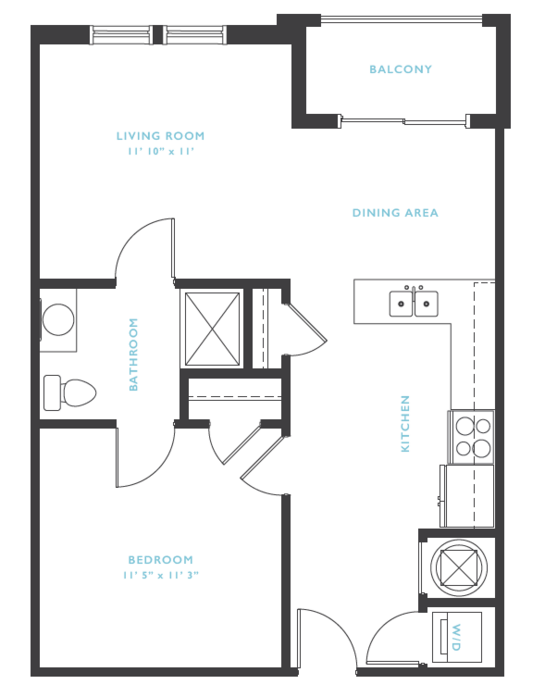 Both roommates can enjoy their own walk-in closet and private bathroom with either a tub or shower. 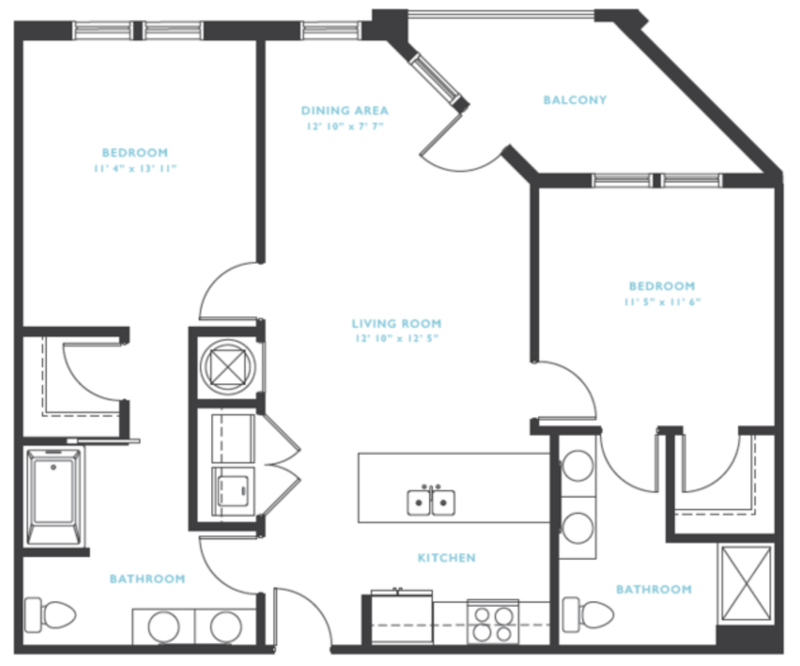 The Rouge floor plan is great for many reasons. 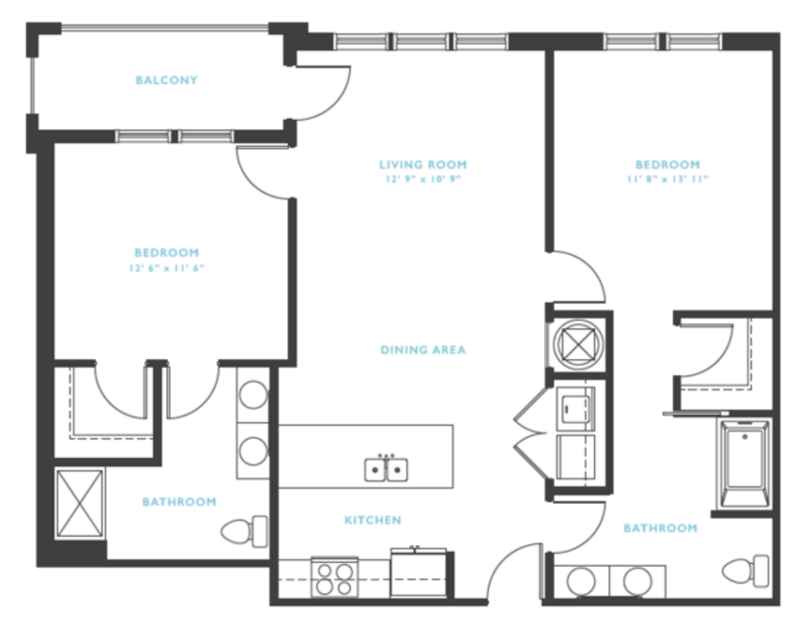 It has plenty of counter space and an impressive kitchen, and residents will feel at home with their large closets and spacious private bathrooms.